Update: On November 22, 2016, the United States District Court for the Eastern District of Texas issued a preliminary injunction, blocking implementation of the new Rule nationwide, pending futher review. The court ruled that the state plaintiffs have established a prima facie case that the Department’s salary level under the Final Rule and the automatic updating mechanism are without statutory authority. It is unlikely the matter will be resolved before January 20, 2017, the date a new administration steps in. Consequently, the future of the Rule is very uncertain. Read the order here. Beginning December 1, 2016, the United States Department of Labor (DOL) will begin enforcing a new rule that will radically change overtime pay requirements throughout the country. The Final Rule, 81 FR 32391, officially called “Defining and Delimiting the Exemptions for Executive, Administrative, Professional, Outside Sales and Computer Employees,” is projected to make around 4.2 million salaried workers suddenly eligible for premium overtime pay. The Rule will substantially change the way employers and their payroll professionals must track workers’ number of hours and pay. It will likely lead to increased baseline salaries for a number of lower-level white collar workers. It will also result in mandated 40-hour work weeks for a number of others. While this new Rule has big implications for many U.S. employers, it does not greatly impact most agricultural employees. That is because most farm employers are exempt from overtime pay requirements under the Fair Labor Standards Act (FLSA). The new Rule does not change these exemptions. This fact sheet provides a general overview of this new Rule, as well as its impact on the agricultural industry. Employers and their payroll professionals are advised to consult with legal counsel if they are unsure about how this Rule impacts them. The FLSA of 1938 is the primary federal law governing wage and hour requirements for U.S. employees. The law sets a minimum wage for nonexempt workers (currently $7.25 per hour). [i] The FLSA generally applies to most employers who employ at least two employees and have gross sales of $500,000[ii] or more. Additionally, with exception, the law generally applies to employees whose work regularly involves them in interstate commerce. An agricultural employer who did not use more than 500 “man days[iii]” of agricultural labor in any calendar quarter of the prior year is exempt from both minimum wage and overtime pay provisions of the FLSA. Agricultural employers who used more than 500 man days of labor must pay minimum wage to most of their employees[iv], but are still exempt from premium overtime pay requirements as long as the work is in conjunction with or incidental to the farm operation. The main teeth of the FLSA are its overtime pay requirements. Subject to some important exceptions, the FLSA requires employers to pay nonexempt employees at least 150% of their regular pay rate for every hour worked beyond a 40-hour work week. Farm employers are generally exempt from the overtime requirements. As noted above, this exemption does not apply where farm workers are performing nonagricultural labor, which is work that is not incidental to or in conjunction with a farming operation. Employers who violate the FLSA are subject to civil litigation brought by employees. Liable employers can owe back pay, double damages, and attorney fees to employees to whom they improperly failed to pay premium overtime wages. Employers are also subject to civil penalties of up to $1,100 for each violation for repeat or willful violations of the FLSA. 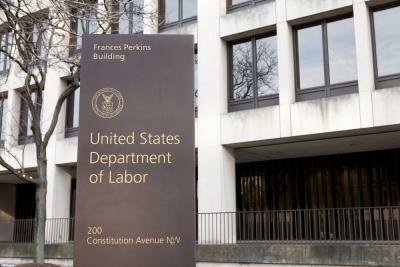 The Department of Labor (DOL) is responsible for enforcing the FLSA provisions. With some exceptions (such as the agricultural exemption discussed above), whether an employer must pay premium overtime wages to its employees who work more than a 40-hour week depends upon whether those employees qualify for the an exemption under the FLSA. The new Rule will cause many workers who have been accurately categorized as “exempt” to now be categorized as “nonexempt.” As such, many more workers will now be eligible for premium overtime pay. The employee must be paid a fixed salary that is not subject to reduction because of variations in the quality and quantity of work performed. The amount of the salary paid must meet a minimum threshold amount set by DOL regulations. The new Rule increases the salary threshold for an employee to qualify as exempt from $455 per week ($23,600 per year) to $913 per week ($47,476 per year). This means that even if an employee qualifies as a professional employee and is paid a fixed salary, he or she is not exempt from the overtime wages requirement if his or her salary is less than $47,476 per year. Example: Jill passes the CPA exam and goes to work for an accounting firm in a small town. She is paid $45,000 per year as a starting salary. She is expected to work long hours during tax season, but will face shorter work weeks come summertime. Under current regulations, Jill would be classified as a professional, salaried employee exempt from overtime requirements. Under the new Rule effective December 1, 2016, she will no longer meet the salary threshold and will be classified as nonexempt. Her employer must either increase her salary to meet the minimum pay threshold of $47,476 or pay her time and one-half for each hour of overtime she works in a 40-hour work week. Such calculations are made for each week worked. They are not averaged across a year or other pay period. As such, if Jill works 60 hours in one week and 30 hours in the next week, she would be entitled to 20 hours of premium overtime pay for the week during which she worked 60 hours. The employer may not offset this liability by averaging her hours worked across multiple weeks. Only public employers can provide paid time off in lieu of premium overtime payments. It is important to note that this new Rule will not impact several categories of professional employees. Doctors, lawyers, and teachers who are employed by an “educational establishment” and have a primary duty of teaching are not subject to the FLSA’s salary threshold standards to be classified as exempt. Consequently, this new Rule does not impact school districts with respect to the pay of their teaching staff. It does impact them, however, with respect to the pay of their staff whose primary duties are not teaching, instructing, or lecturing. It is also important to note that employees who earn more than $47,476, but do not meet the “duties test” of a Bona fide executive, Administrative, or Professional are still classified as non-exempt and must still be paid overtime. Example: A plumber earns a $90,000 yearly salary, and works around 50 hours per week. Because plumbers do not meet any of the “duties test” under the FLSA, he or she would be entitled to premium overtime pay for the additional 10 hours of overtime worked each week. This result is not changed by the new Rule. The law does provide an additional exception for highly compensated employees. Those who earn at least $134,004 per year (and at least $913 each week) have a relaxed duties test. The new Rule increased the salary threshold to qualify as a highly compensated employee from $100,000 per year. If the highly compensated employee’s primary duties include office or non-manual work and he or she customarily and regularly performs any one or more of the exempt duties of an executive, administrative or professional employee, the employee will be classified as exempt. The new Rule does not change the “duties tests” for qualifying as an executive, administrative, or professional employee. Still, they are worth reviewing. To qualify for the executive exemption, an employee’s primary duty must be managing the enterprise, or managing a customarily recognized department or subdivision of the enterprise. Furthermore, the employee must customarily and regularly direct the work of at least two or more other full-time employees or their equivalent. Finally, the employee must have the authority to hire or fire other employees, or the employee’s suggestions as to the hiring, firing, or any other change of status of other employees must be given particular weight. Under the new Rule, to be classified as exempt under the executive duties test, an employee must earn at least $47,476 per year. The administrative employee’s primary duty must be the performance of office or non-manual work directly related to the management or general business operations of the employer or the employer’s customers. Furthermore, the employee’s primary duty must include the exercise of discretion and independent judgment with respect to matters of significance. Example: An insurance claims adjuster whose yearly salary is at least $47,476 per year would be exempt from overtime pay requirements. If his or her salary is below that threshold, however, the employee would be entitled to premium overtime pay. To qualify for the professional exemption, an employee’s primary duty must be the performance of work requiring advanced knowledge, defined as work which is predominantly intellectual in character and which includes work requiring the consistent exercise of discretion and judgment. The advanced knowledge must be in a field of science or learning, and the advanced knowledge must be customarily acquired by a prolonged course of specialized intellectual instruction. Example: Under this duties test, a registered nurse (RN) would meet the definition of an exempt professional (as long as he or she earned at least $47,476 per year). A licensed practical nurse, however, would not, even if he or she earned $50,000 per year. As noted above, the salary threshold requirements do not apply to lawyers or doctors. They are automatically exempt, regardless of salary. Likewise, the salary requirements do not apply to bona fide teachers. It is apparent that the new Rule will greatly impact employers and their payroll professionals. Given the potential penalties and the risk of litigation for noncompliance, however, these are steps that must be taken immediately. As noted above, the new Rule does not alter any FLSA exemptions for agricultural workers. As such, most employers of true agricultural workers will not be impacted by this new Rule. Only where the agricultural worker is performing nonagricultural work (work not incidental or in conjunction with a farming operation) that would currently qualify as white-collar work under one of the duties tests will the new Rule apply. [i] While state law cannot set a minimum wage below that threshold, many states have set higher minimum wages for their workers. Iowa has adopted the federal rate. See this chart for information on state minimum wage rates. [ii] Many states, such as Iowa, have a lower income threshold level The Iowa threshold gross income level is $300,000. [iii] A man day is any day during which an employee performs agricultural work for at least one hour. [iv] Exemptions apply for immediate family members, those engaged principally on the range in the production of livestock, certain local hand harvest laborers, and non-local minors 16 ages and younger. Additionally, employers may pay a lesser wage to certain youth during a 90-day introductory period. [v] The law contains different exemption requirements for computer professionals and outside sales employees. Outside sales employees are not impacted by this Rule.